On a recent trip to Paris, I had the delight of visiting Porte de Clignancourt, officially called Les Puces de Saint-Ouen, but known to everyone as Les Puces (The Fleas). 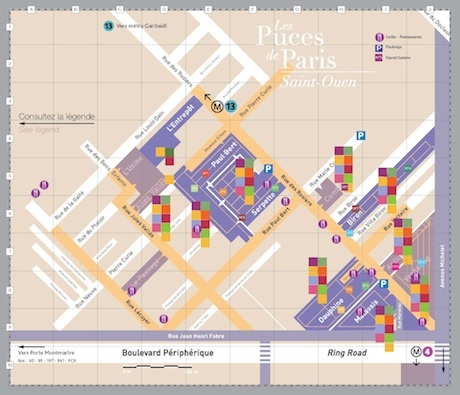 It is the most famous flea market in Paris and the largest in the world covering seven hectares, housing more than 3000 vendors and receiving between 120,000 to 180,000 visitors each weekend! 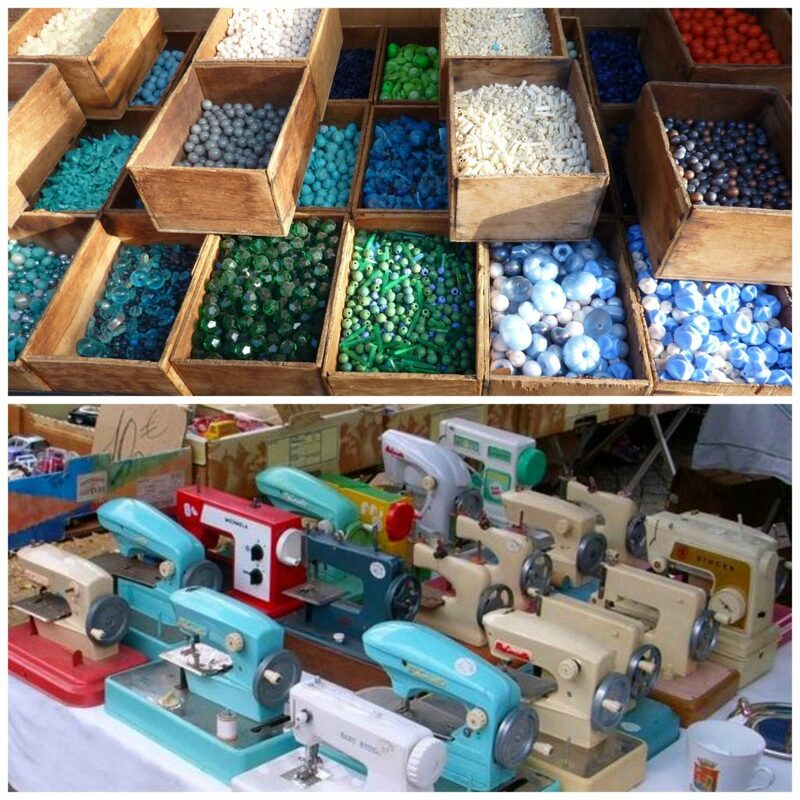 The history of the flea market dates back over two centuries, when ‘crocheteurs’ or pickers (rag and bone men) spent their evenings scouring through the garbage of Paris to find items they could sell. They initially set up their stalls within the walls of Paris, in what were known as sleazier neighborhoods. However they were quickly forced out by pickpockets and thieves to finally settle outside the city walls in Clignancourt, Montreuil, Vanves, etc. 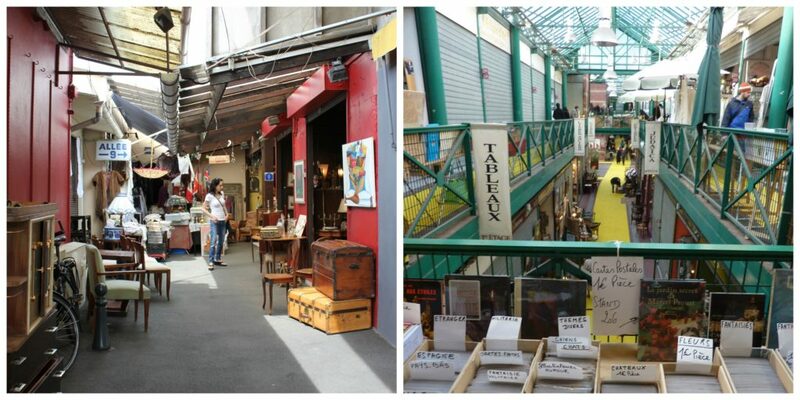 The largest of these flea markets is the one at Clignancourt but the other two continue to this day. The rag and bone men continued to sell their wares in temporary stalls until eventually, they formed groups of stalls to attract more customers. 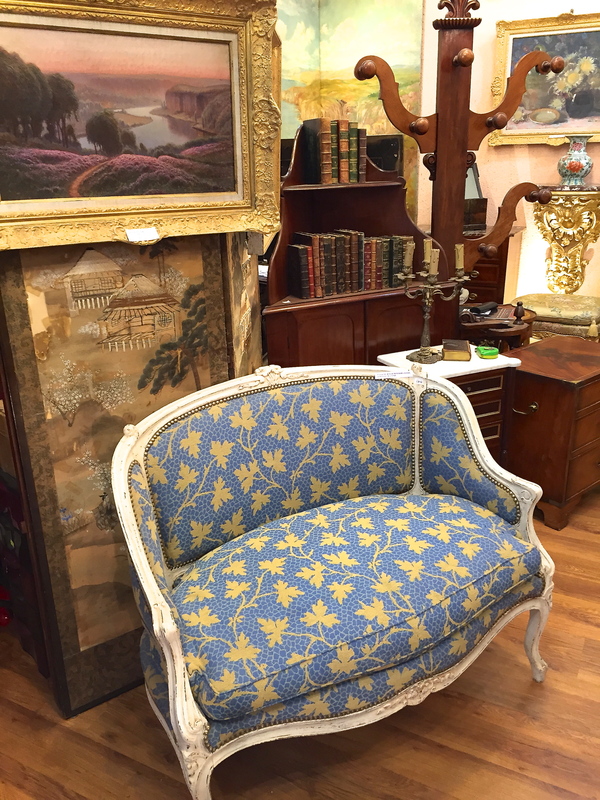 The more enterprising of the group began to ‘trade up’ in terms of goods and eventually it became popular for Parisian collectors and antique dealers to shop there for bargains. The market has continued to grow over the years to the impressive collections of stalls, stores, cafés and restaurants it is now. The setup of the market is like a small city consisting of about 14 sub-markets, indoors and out, upstairs and down, in alleys, passages, shops and warehouses. Each is either on Rue des Rosiers or a street shooting off it. Some streets go two or three blocks deep into the market. Of course the deeper you go, the less pretty it is, but that’s where a lot of the treasure hunting happens. 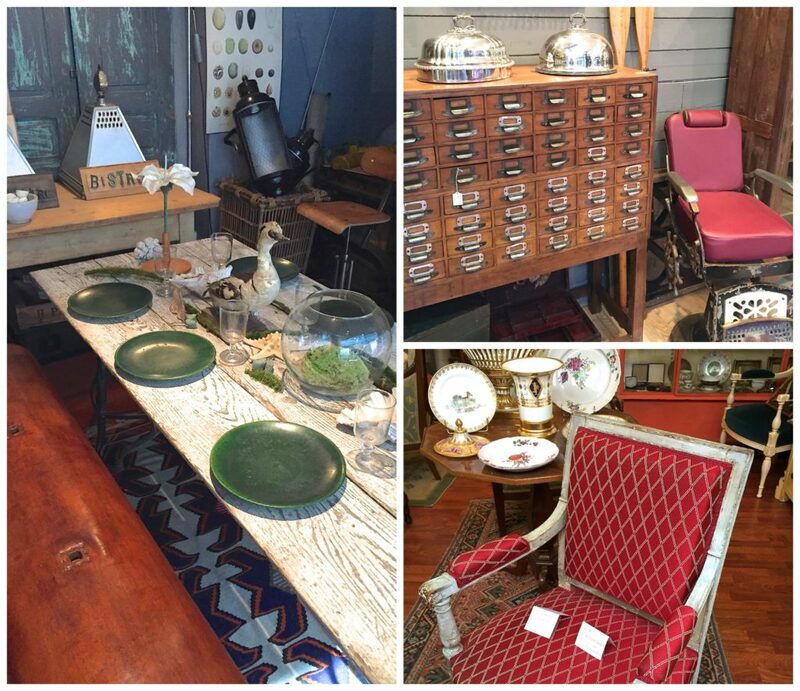 Whether you’re looking to refurbish your home or just passing through, there is no shortage of riches to browse. 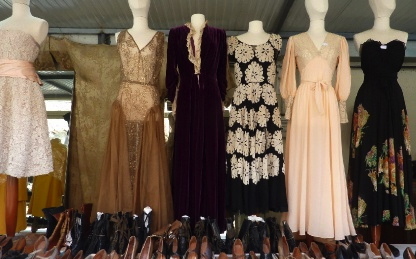 Be inspired and travel back in time perusing vintage clothing vendors. 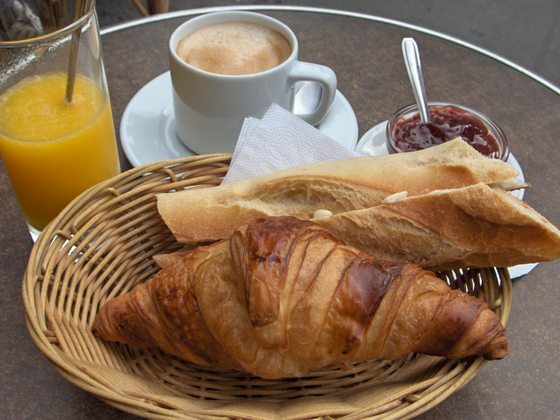 Since it’s hard not to spend the better part of a day in the market, there are plenty of wonderful restaurants and cafés tucked away within the alleys and passages. We came across the vibrant, gaudy and crowded, Chez Louisette. 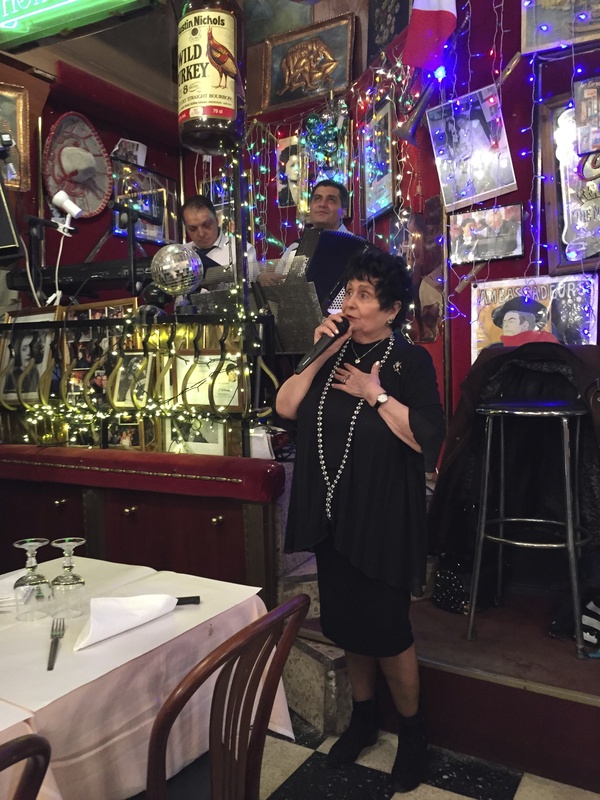 Not necessarily the best food you’ll eat in Paris; crowded into tiny tables with others, you don’t go for the food, but for the chanteuses channeling Edith Piaf and French crooners, accompanied by wonderful keyboardists and accordion players. Well worth the experience!